Annapurna Circuit Trek with Tilicho Lake features trekking through trans-Himalayan region of Manang and Mustang and a visit to Tilicho Lake (4949m), one of the highest altitude lakes in Nepal. The trek passes through the trans-Himalayan region of Manang, the trails is often icy and bit challenging on the way towards Tilicho Lake, a beautiful wetland surrounded by rich biodiversity and Himalayan ranges. Continue your trek towards Muktinath Temple but not without crossing Thorang La pass (5400m). Trail down the Kali Gandaki Valley offers superb views of the Annapurna ranges including Annapurna I-IV, Dhaulagiri, Macchapuchre, and the world’s deepest Kali Gandaki gorge. Wrap up your journey by relaxing in a natural hot spring pool in Tatopani on the final day. 06.15am: Pick up from your hotel in Kathmandu and drive to Kantipath to catch the bus to Dumre with your trekking guide. 12.30pm: Arrive in Dumre. Note: You will change your bus to Bhulbule here. 03.00pm: Arrive in Beshishar and continue the drive. Highlights: Scenic Mountains and beautiful village views. 11.30pm: Arrive in Bahundana and you will have your lunch. 03.00pm: Arrive in Syange. Check in hotel. Free and easy after check in. You can explore the local area. 02.30pm: Continue the trek to Dharapani after lunch break. Highlights: Magnificient views of Annapurna II (7937) and district headquarter of Manang District. 08.00am: Start the uphill trek to Chame(2670m). 11.00am: Arrive in Timang(2270m) and have your lunch here. 03.30am: Arrive in Chame(2670m). You will have overnight in Chame. Check in hotel. Free & easy. Rest and relax. 08.00am: Check out and start trek to Upper Pisang(3300m). 11.30am: Arrive in Dhikur Pokhari(3060m) You will have your lunch break. Note: Very limited option for the lunch. 02.10pm: Arrive in Pisang. You will have overnight in Pisang(3300m).Check in hotel. Rest and Relax. Note: You will have free and easy time after check in. 09.00am: We suggest you to take this day as free and easy day because upcoming 3 days will be very challenging and tiring. Bhojo Gompa or Gangapurna Lake is worth visiting sites from acclimatization point of view. 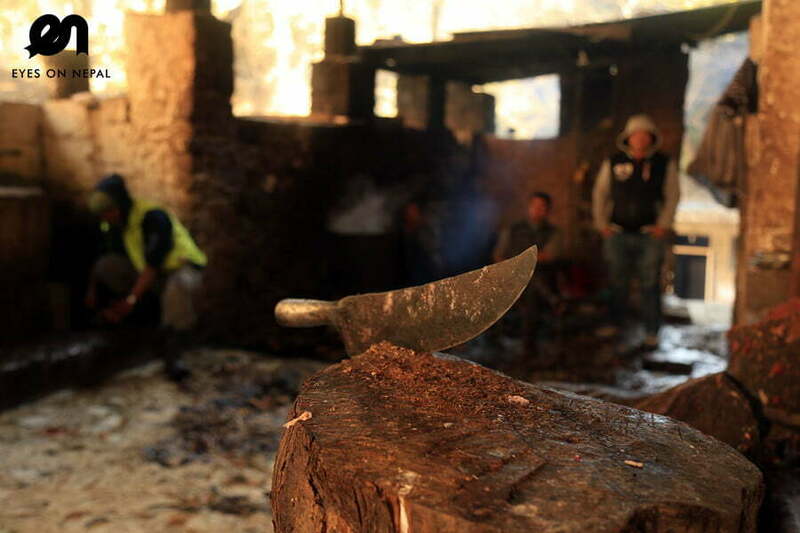 If you have time and an interest, you can pay an easy excursion to village near by Manang. 07.30am: Start the trek to Khangsar(3734m). 11.00am: Arrive in Khangsar(3734m). Check in Hotel. Rest and Relax. Note: Lunch and Dinner at the hotel. You have free and easy time in Khangsar. 05.30am: Wake up and get ready for breakfast at the dining hall. 01.30am: Arrive in TBC(4159m). Check in hotel. Rest and Relax. Note Lunch and Dinner at the hotel. 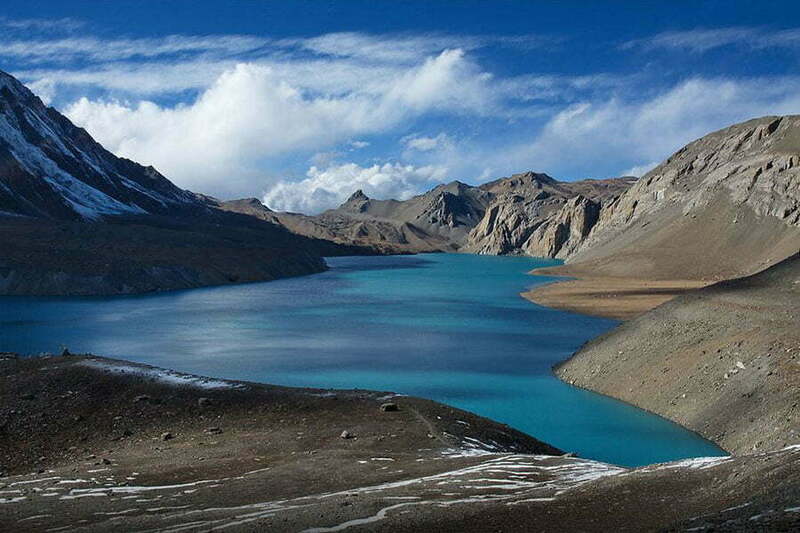 Highlights: Amazing beauty of Tilicho Lake and surroundings. 05.00am: Wake up and get ready for breakfast at the dining hall. 05.30am: Breakfast at the hotel. 10.00am: Arrive in Tilicho Lake (4990m). Visit beautiful Tilicho lake. 11.00am: We back to Tilicho Base Camp after spending some times on Tilicho lake. Note: There are rare dining options on Tilicho lake. So, we will take pack luch from Tilicho Base Camp. 07.00am: Start the trek to Yak Kharka(4018m). 04.00pm: Arrive in Yak Kharka(4018m). Note: Lunch en route. Check in hotel. Rest and Relax. 08.30am: Arrive in Ledar(4200m) and continue the trek to Thorang Phedi(4450m). 12.30am: Arrive in Thorong Phedi(4450m). Check in. Rest and Relax in Thoring Phedi. Note: Lunch and Dinner in the hotel. 03.00am: Wake up and get ready for trek. 03.30am: Stat the trek to Muktinath(3760m). 09.45am: Arrive in Thorung La Pass(5416m) Note: Congratulation You are at the height of 5416m. You will have time to take picture and see the mountain arounds. 12.00pm: Arrive in Phedi. We will have our Brunch here. Note: limited option to choose the foods. 08.00am: Drive to Tatopani(1190m) by bus or Jeep on availability. 11.20pm: Arrive in Pairathaplo(1940m) and continue the drive to Tatopani(1190m). 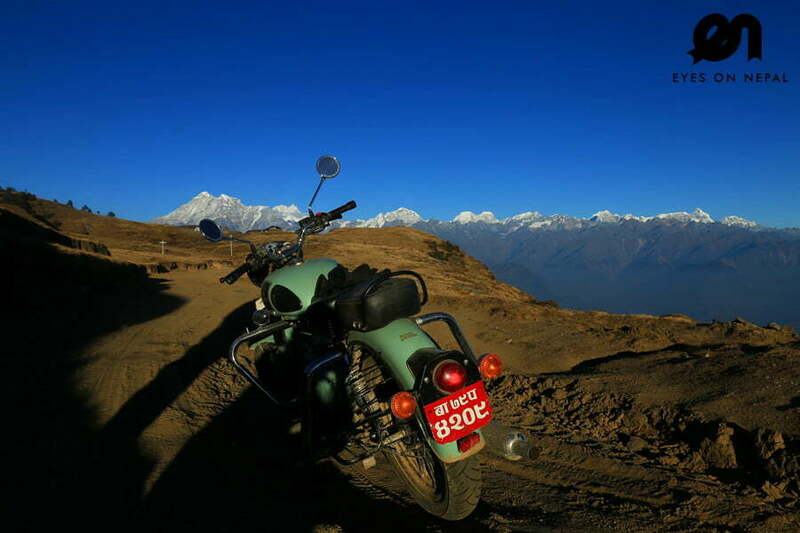 08.00am: Drive to Pokhara(820m) by bus. 01.00pm: Arrive in Beni(830m). You will have lunch here. 06.00pm: Arrive in Pokhara(820m). Check in hotel. Accommodations x 15 nights in the mountains. NOTE: Base on twin sharing. Pick up from Pokhara Bus Park and transfer to your hotel in Pokhara.